The Hazard Tree Landowner Assistance project is no longer accepting applications. ​Did you know that there is financial and technical assistance available for Amador County farmers and ranchers? There are several sources of assistance for farmers and ranchers to implement best management practices on their operation. Check out "On Farm Assistance" Page for up-to date information about current assistance. The ARCD is a proud founding member of the Amador Farmers Guild. About the Guild: " We are farmers, ranchers, and sustainable food system advocates. With a passion for feeding out local communities, we unit to share skills, knowledge and forage a collective voice for sustainable agriculture. Founded by farmers for farmers, we support healthy food production by collectively striving toward the economic viability for farms as well as the social networks to attract, cultivate and sustain a new generation ready to work the land." 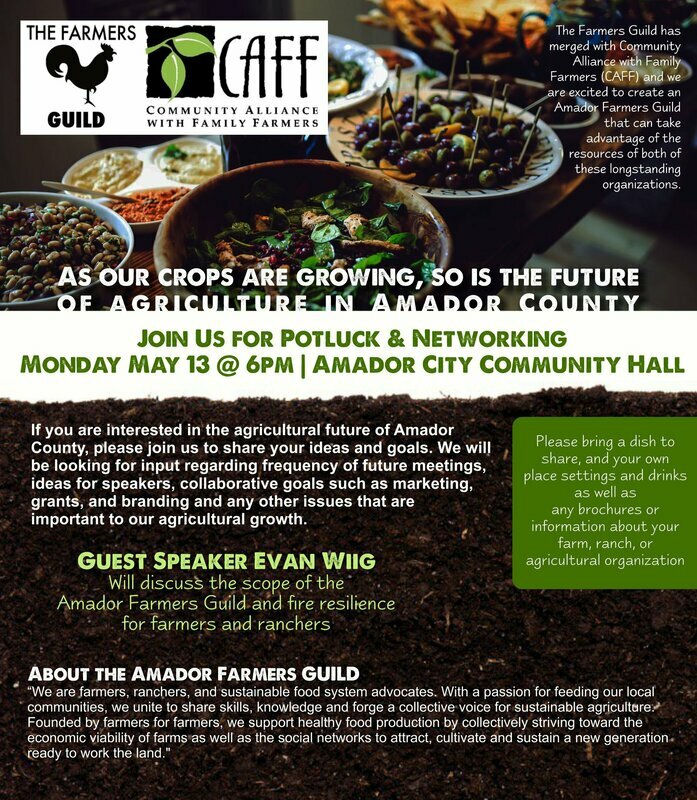 Join us at the inaugural meeting of the Farmers Guild on May 13th 6pm at the Amador City Community Hall. ​This project seeks to complete the planning, assessment and permitting necessary to restore the natural functioning of three meadows, “High Onion” meadow, Upper Onion Valley, and Tyler meadow. 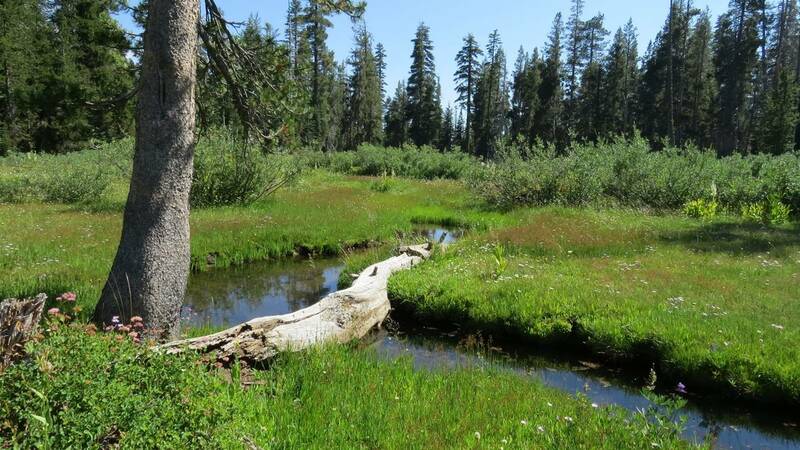 If restored, these meadows would have significant ecosystem value as they provide important suitable habitat for the Sierra Nevada Yellow-legged Frog a federally endangered species. The Amador Soil Health Research & Education Project is a partnership between ARCD, UCCE, and several agricultural producers in Amador County. The project will study the results of compost application on rangeland; specially looking at the effect of soil health, carbon sequestration, forage production and noxious weeds. The ARCD will be hosting several events over the course of the project that will take place out on the range to see the effects of the compost application. Like AmadorRCD on Facebook to make sure you get all the updates as the project gets rolling. The ARCD provides financial support to projects and students through out Amador County. Below is a list of ways that the ARCD supports projects and people to reach natural resource management goals through education.